Nice place, fair comfort. 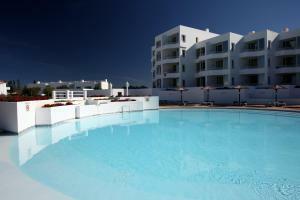 Very well placed in Algarve and with very nice views and beach. All the gardens and rocks in the beach makes the place wonderful. Atlantic pool is fantastic spot for family to spend the day, kids play, lunch in restaurant - service slow but the view is fantastic. Check out the beach bar after 8pm! Facility, pools, proximity to beaches and restaurants. Good location with stunning views. Nice bright room and very spacious with good facilities. Good supermarket and restaurants within the grounds which we used several times. Lots to do in the complex from the pool to short walks to the beach. A number of restaurants on site too. 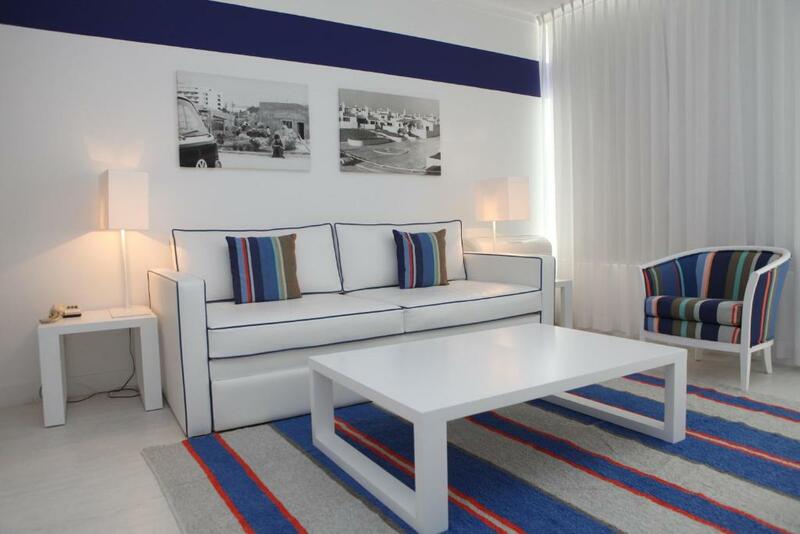 Lock in a great price for Prainha Clube – rated 8.2 by recent guests! 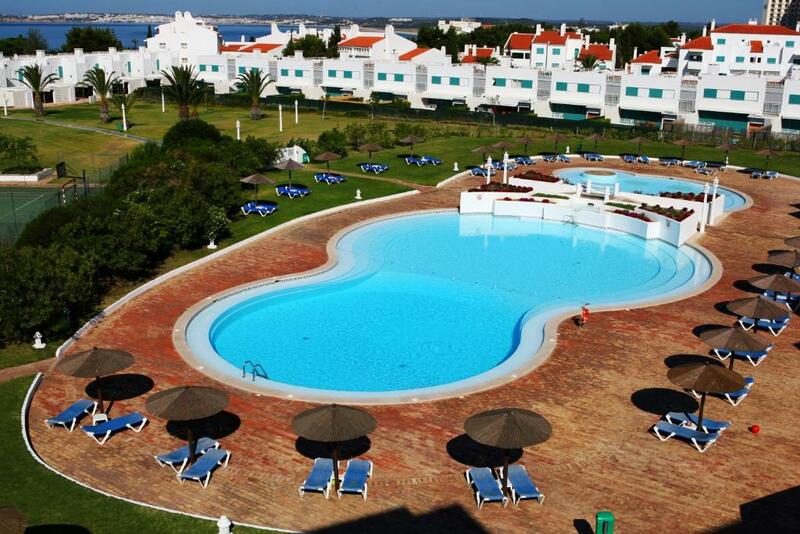 Prainha Clube This rating is a reflection of how the property compares to the industry standard when it comes to price, facilities and services available. It's based on a self-evaluation by the property. Use this rating to help choose your stay! 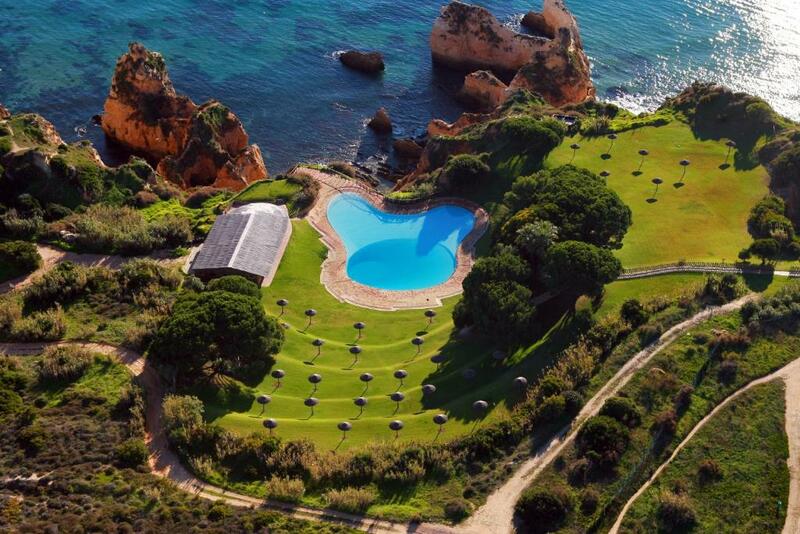 Beautifully located within 20 acres of gardens, Prainha Clube overlooks the town of Alvor and the Bay of Lagos and features 4 swimming pools. Prainha’s guest rooms come with a balcony and air conditioning. Guests have their own kitchenette with cooking facilities, a fridge and microwave. Apart from a snack bar, there are 4 different restaurants where guests can enjoy their meals. For those who favor to prepare their own dishes, there is an on-site supermarket. The 2 tennis courts, the padel court and the multi sport court are just a few of the many facilities Prainha Clube has to offer. 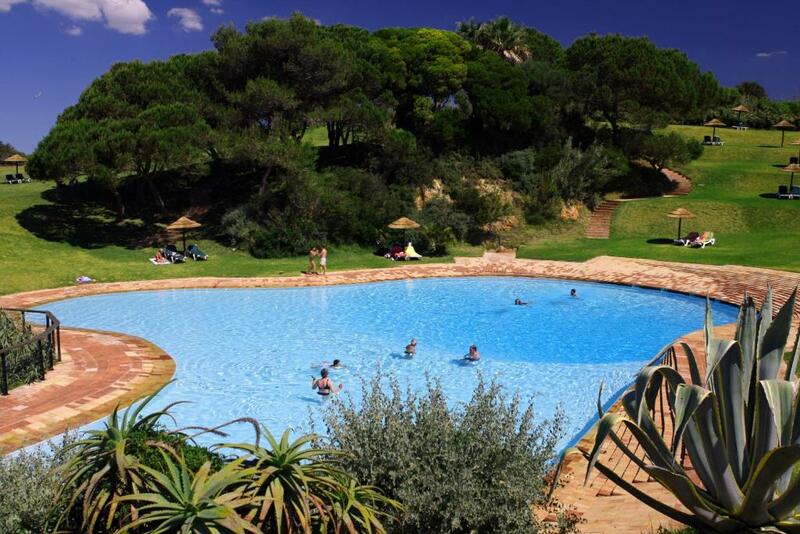 Children can enjoy themselves for hours in the playground or have some ice cream on the poolside terrace. 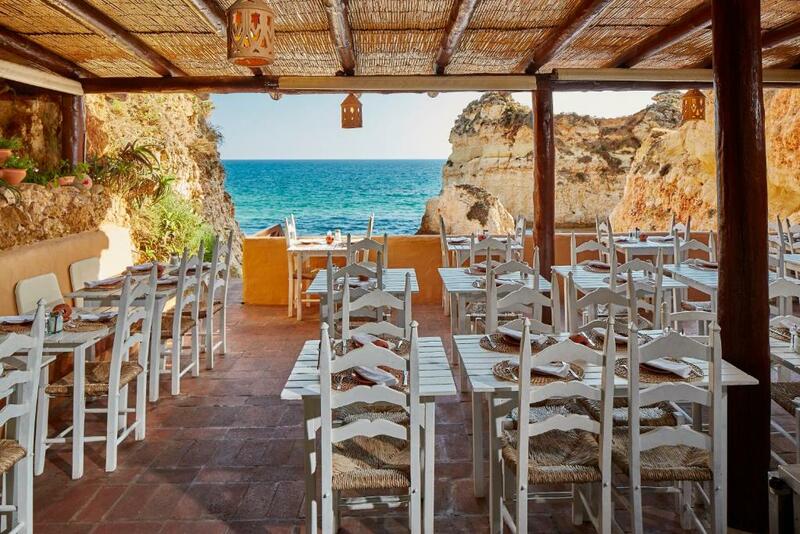 Alvor is a 5-minute drive away and offers various bars and restaurants. The larger town of Portimão is a 15-minute drive away. Faro Airport can be reached in a 1-hour drive. 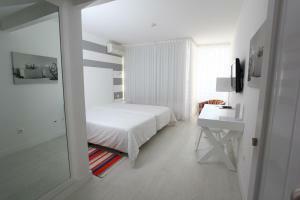 When would you like to stay at Prainha Clube? This air-conditioned studio features twin beds, a fully equipped kitchen or kitchenette, a bathroom with a bath and hairdryer, a telephone, a flat-screen cable TV, free WiFi and a terrace or a balcony with views of the resort's swimming pool. Decoration may vary between blue, red or white tones. This air-conditioned apartment features a twin bedroom, a sofa bed in the living room, a fully equipped kitchen, a bathroom with a bath and hairdryer, a telephone, a security deposit box (for a surcharge), a flat-screen cable TV, free WiFi and a terrace or a balcony with views of the resort's swimming pool. Decoration may vary between blue, red or white tones. This air-conditioned studio features twin beds, a fully equipped kitchen or kitchenette, a bathroom with a bath and hairdryer, a telephone, a flat-screen cable TV, free WiFi and a balcony with sea-view. Decoration may vary between blue, red or white tones. This air-conditioned apartment features a twin bedroom, a sofa bed in the living room, a fully equipped kitchen, a bathroom with a bath and hairdryer, a telephone, a security deposit box (for a surcharge), a flat-screen cable TV, free WiFi and a terrace or a balcony with sea view. Decoration may vary between blue, red or white tones. House Rules Prainha Clube takes special requests – add in the next step! Prainha Clube accepts these cards and reserves the right to temporarily hold an amount prior to arrival. Please note that cleaning service is not available on Sundays and bank holidays. Towels are changed twice a week. Prainha Clube guests' have free access to the Turkish bath and gym (closed on Sundays). Please note that sun loungers and umbrellas at the Atlantic Pool have an extra-cost. Beautiful grounds and swimming pools. Needs repaint in some walls. Needs more water pressure shower. Very little atmosphere as it was the end of season before the winter closure and therefore almost too quiet. Rooms very cleaned regularly and beds were made. I liked very much the hotel staff and the atmosphere at the hotel. Great to relax and enjoy the sun! Towels and bed sheets could be changed more often. The breakfast wasn't good and definitely not worth 9 euros. Alvor town centre and Portimão are not walking distance but easy get to by car although parking is difficult. The bedroom air conditioning didn't work very well. The beach near the hotel is perfect and beautiful. The pool in front of the hotel is great. The room was very clean. Perfect place to stay! Our apartment had spacious terrace with great sea view, nice living room and fully equipped kitchen. We liked the Atlantic swimming pool and Canico bar and restaurant with the lift to the beach. Great green park with fantastic sea view. Loved the beach and the rocks! Definitely would like to stay here again! The location is excellent, the Atlantic Pool is fabulous. Air con worked very well.